The Mitsubishi Grandis is a seven seat MPV built by Mitsubishi Motors to replace its Chariot/Space Wagon/Nimbus line. It was launched on May 14, 2003 and is sold in Japan, Asia, Europe, Oceania, Mexico, Honduras, Jamaica, and South America. Engines available are a 2.4-litre four-cylinder and a Volkswagen-sourced 2.0-litre turbodiesel (not available in Jamaica), badged DI-D rather than TDI as Volkswagen denotes it. The exterior styling was based loosely on designer Olivier Boulay's earlier Mitsubishi Space Liner, a monobox four-seat concept vehicle with centre-opening "suicide doors", first exhibited at the Tokyo Motor Show in 2001. It was the first all new vehicle featuring the company's new common "face", comprising a curved lower grille edge and a sharp crease rising up the leading edge of the bonnet from the prominent corporate badge. It shared its platform with the Mitsubishi Airtrek minus the increased ground clearance. The Grandis was also the basis for the Mitsubishi FCV (Fuel Cell Vehicle) concept, powered by a fuel cell technology developed by then controlling shareholder DaimlerChrysler. DCX's "FC System" uses a fuel cell stack to replenish an array of NiMH batteries from 117 litres of compressed hydrogen storage. 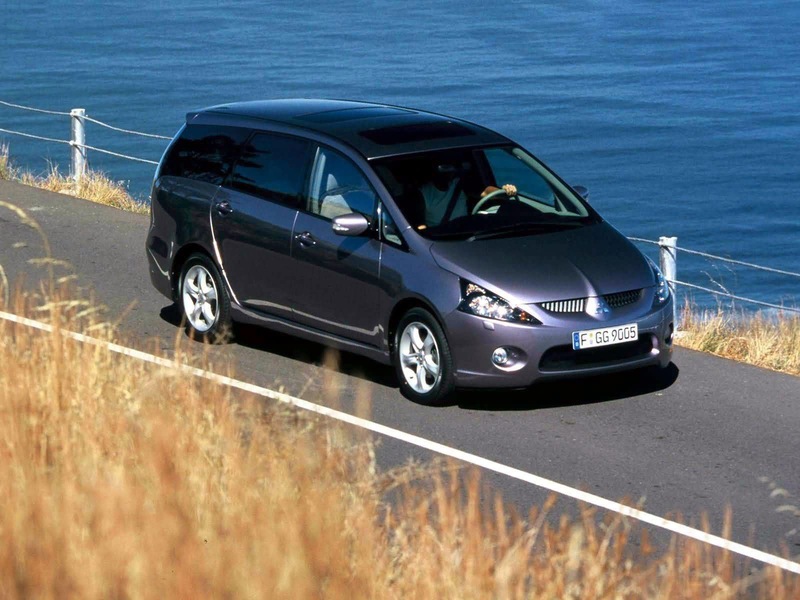 It won the Best MPV award at the Bangkok International Motor Show from 2005 to 2010. During March 2009, it saw the cancellation of this model in the Japanese market, marking the end of the Chariot name after 26 years of production. For 2011, it was discontinued globally. 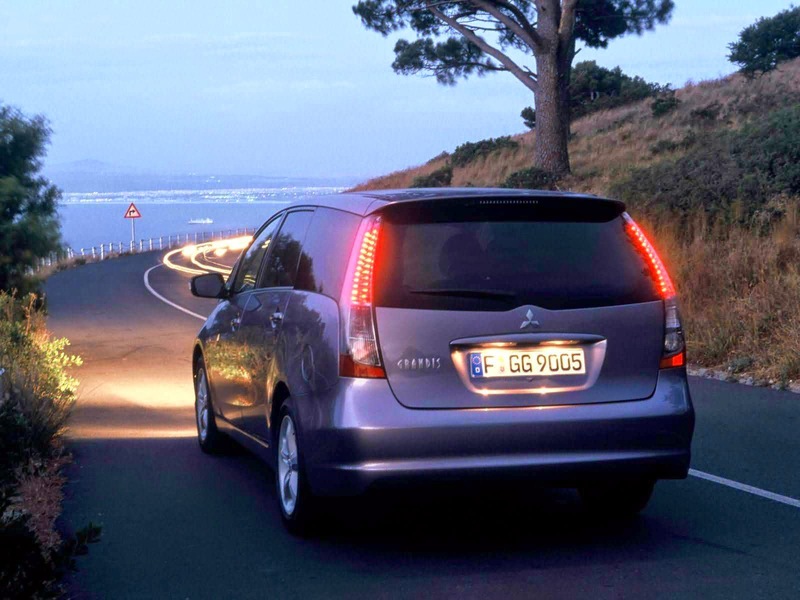 In 2014, Mitsubishi is planning to release the new Grandis during 2016, to compete with the Opel Zafira Tourer, Volkswagen Touran and Peugeot 5008. It will be based on the Mitsubishi Lancer, and is to be built in Australia (given the manufacturing plant closure several years ago, this is rather unlikely). Last updated on 28 February 2014 at 18:42.